A little girl returns home with her family from a memorable vacation at the sea and sitting on the front stoop of their house, she discovers an unintended souvenir — shoefuls of sand! Delighted, she and her little brother Ulysses wonder what they should do with their serendipitous find. If they plant tiny grains of sand, will a field of sunny beach umbrellas grow? Or better yet, a forest of pinwheels! Grains of Sand is an ode to the warm-weathered vacations of our childhood and the sublime moments of discovery and wonder they provide. 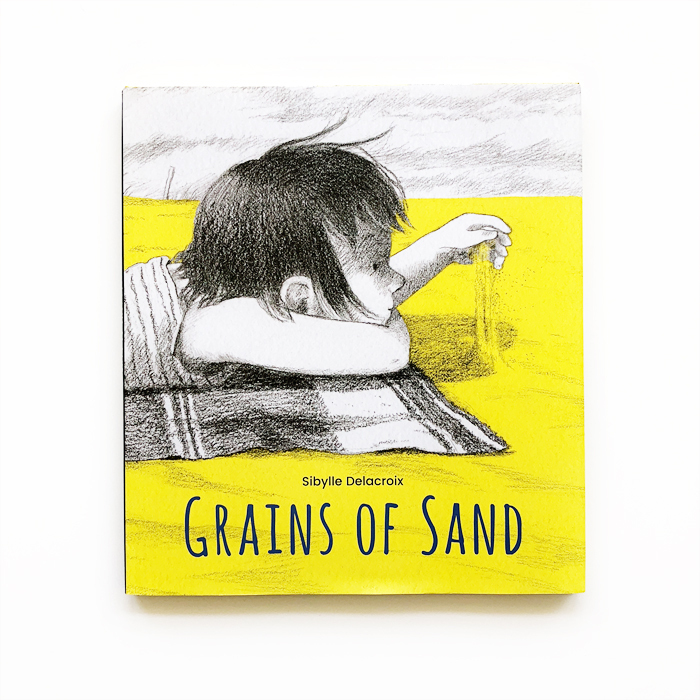 Grains of Sand was written and illustrated by Sibylle Delacroix and published by Owlkids Publishing.